The WTA had another season of exciting and strange moments. From the crowd working against Caroline Wozniacki in Miami to Alize Cornet being called out for taking her shirt off at the US Open. We’ll recap conversations between Garbine Muguruza and Sam Sumyk and the tense moments in the press conference room as well. None of us will forget where we were during the strangest match in tennis history with Serena Williams unable to keep her composure during the US Open Final. Major victories by Naomi Osaka, Mihaela Buzarnescu, and Elise Mertens who all have big swings and tenacious spirit on the return are highlights of this season. They clearly became the rising stars following the path of Elina Svitolina who despite not winning a grand slam as of yet took home the WTA Final in Singapore, setting her up for more success in the upcoming season. Wozniacki was also in the mix of veterans after she captured her first slam at the Australian Open. Some stars didn’t have the best time on the courts, like Johanna Konta and Monica Puig, coming up short at times despite having the skills necessary to take down their opponents. 2018 was another year for stars to find progress like Eugenie Bouchard, Jelena Ostapenko, and Belinda Bencic showing relentless spirit getting back into the mix by producing some quality tennis. Maria Sharapova and Victoria Azarenka continued their comeback tours with wins that got them back into the top 50 by the end of the year. Tennis also said happy trails to Agnieszka Radwanska, who decided to hang up her racket as she had trouble getting back on track since getting married. 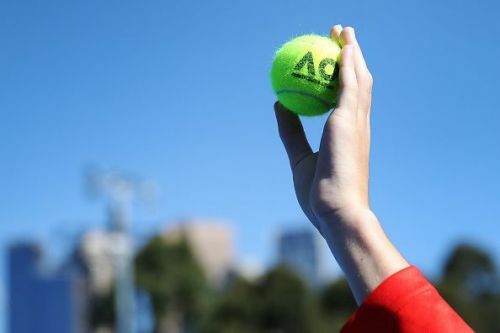 The two-part year-end review of the women reported on over the last ten months will stoke the fire to prepare for what will blaze in the 2019 WTA Tour. Svitolina (44-15) came out of 2017 with five titles which became a moment where she could consider herself one of the top players to beat. She proved that right at the start of the year winning the Brisbane Open, having made it to the semis twice before. The ability to defeat Karolina Pliskova in a tight straight-setter put her against a lower ranked opponent to take home her 10th career title there. She went back to Dubai and Rome where she successfully defended her titles, taking down Simona Halep at the Italian Open for a second straight year. It wouldn’t come together for her in Montreal defending her Rogers Cup title but it wasn’t the end of the road for the Ukrainian. With the experience at Singapore the previous season, the 24-year-old went 5-0 beating her rivals before getting revenge twice to become champion. The support staff she had with Andrew Bettles at the helm helped her rally back from deficits, with his suggestions and confidence boost keeping Svitolina focused. Singapore stood as her biggest title captured making 2019 a preview of her possibly bringing together a Grand Slam as part of her growing list of accolades. 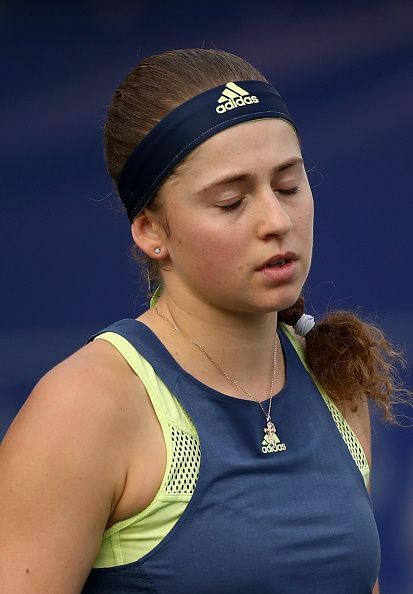 One person who knows the feeling of Grand Slam success but hasn’t had the same consistency is Ostapenko (28-22), who had a thrilling 2017, winning her maiden title at Roland Garros before a quarterfinal appearance at Wimbledon. All this had looked to make her a real contender going forward. Despite winning her second title in Seoul, the Latvian struggled to come into 2018 until getting revved up in Miami, where she made it to the finals before losing control to eventual winner Sloane Stephens. This began a serious roller coaster for the Latvian as she went into the clay season with very little to show for her title defense. Her world crumbled apart in a first-round loss at the French Open losing in straight sets. Ostapenko tried to prove her critics wrong putting together a serious challenge at Wimbledon but stopping Angelique Kerber from getting a second Grand Slam title was not on the cards. She finished the season with a mediocre performance in the second half of the hard court season to stand 22nd in the rankings. With her signature style of aggressive tennis being the key to her previous victories, the 21-year-old needs something else that was missing from this season to be a factor and prove that she’s not a one trick pony. Some feel the same way about Garbine Muguruza (35-20) who won the French Open in 2016 and followed that up by reaching the quarters in Melbourne in 2017 before. At Roland Garros in 2017, she failed to defend her title, taking a verbal beating from the French fans in the process, who were behind Kristina Mladenovic. The Spaniard turned it around to rally strong into England capturing the ultimate prize of taking home the title at Wimbledon before adding another at the Cincinnati Masters. The success started to dwindle away as she wasn’t up to speed yet the following year. She fought hard in Doha but came up short in the final against Petra Kvitova. 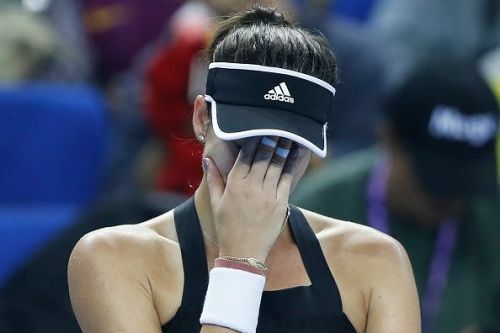 The frustrations were rising in Muguruza who had a vulgar conversation on the court with Sumyk during a battle in the Monterrey final against Timea Babos. Despite her choice of words, it lit a fire in the then 24-year-old to capture her sixth career title. She came back to Paris in 2018 where she didn’t face any French opponents putting together great victories along the way. Despite losing in the semis against eventual champion Simona Halep, Muguruza had closed a chapter of tough challenges and faced a lengthier one. The Spaniard struggled in her title defense at Wimbledon, losing in the second round where the critics took their toll once again. It led to an injury that kept her out of contention, thus building up the frustrations that led to further colorful conversations on court with her coach. With the relief of the season being over and with two months of rest, Muguruza readies herself with a clean slate to try and achieve more titles to her name in 2019. Alize Cornet (27-26) continues to be one to struggle to win since her first WTA title in 2012. Since then, the 28-year-old French right-hander had put five to her name ending a nearly two-year drought this season with a run in Gstaad. Cornet avoided going three sets on two occasions in the tournament including the final against Mandy Minella that gave her hope in the success of her passionate craft. With the new group of youthful players coming into the sport, the challenge would continue to be there for Cornet going into a new year. The same goes for Maria Sharapova (20-11) who got in her first full season this year since being suspended back in 2016. With that getting smaller in her rearview mirror, the 31-year-old put some time in at the start of the season coming close at Shenzhen which would have been her second title win since returning to action. Sharapova’s favorite indoor clay court didn’t pay off as she found herself out early against the surging Caroline Garcia of France. She went into Madrid and Rome, with an intent on making a big push for Roland Garros but all three tournaments were cut off by top ten players. Wimbledon was not in the cards for her either as Vitalia Diatchenko stayed with it in three sets, making it the first time Sharapova lost in the opening round at the All-England Club. Injuries were becoming the norm for the Russian superstar who bowed out of both San Jose and Cincinnati before giving Montreal a shot. She got a three-match warmup but it didn’t produce anything great at the US Open losing in the round of 16. Sharapova thus came to the conclusion that she needed more rehab before considering herself 100 percent ready and thus canceled the Asia tour towards the end of 2018. When it comes to 2019, it appears that Sharapova targets her return back to Shenzhen for the second year in a row as her Instagram stories show her preparations to get into gear for the new WTA tour.